The wonderful world of Youtube. If you are like me then you might spend some time on Youtube weekly or maybe even daily. From checking out different tutorials to checking out the latest music videos I have spent a ton of time on the platform. With so many people going on Youtube daily it’s definitely a platform that many bloggers, influencers and creatives can make great money. Many paid Youtubers make thousands and even millions just from sharing videos on toy reviews, music reviews, product reviews and more. Now, if it was that easy everyone would be doing it, right? Yeah, as you assume it does take some work to actually make six-figure on Youtube but you totally can with the right branding, determination and time! So, let’s break it down! This is a huge one! 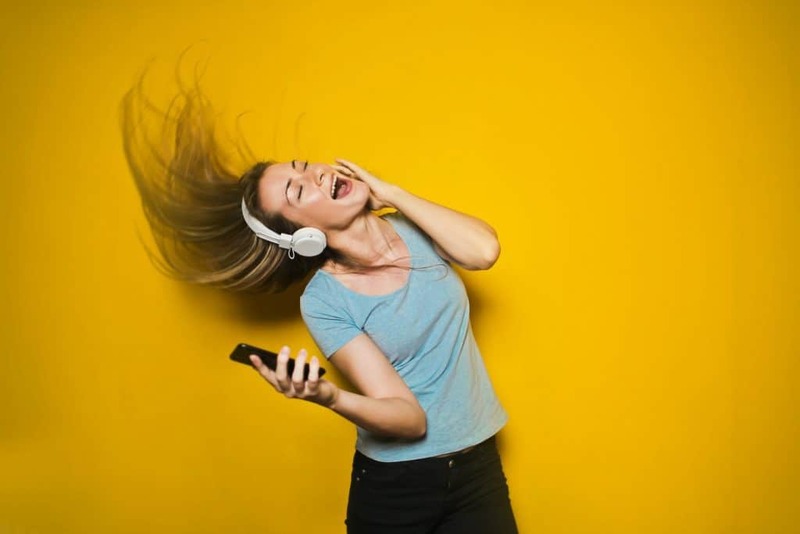 If you already have a huge following on Instagram or Facebook then you can totally dip into the Youtube world and suggest different products to your audience. For example, if you are a Fashion blogger with a decent following of organic followers on Instagram and Facebook you can totally promote different products to your audience on Youtube and make money from it. 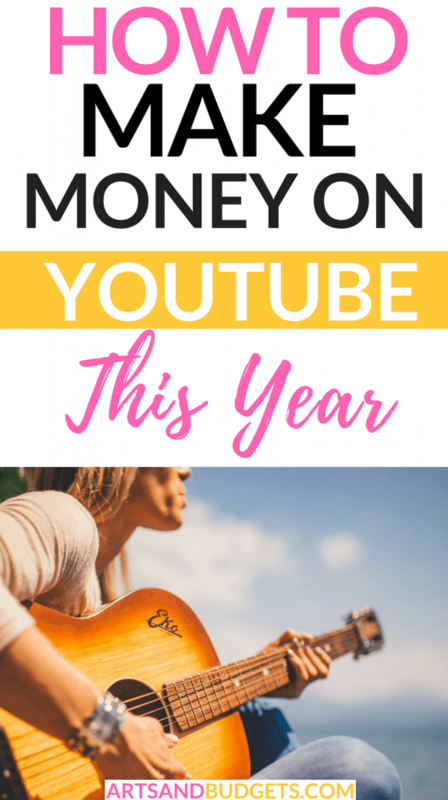 Making money on Youtube is totally possible and is actually the main source of income for many Creatives! Below I will share how you can actually make money from Youtube and how other top YouTubers make money every single month. Do you have your own products and a following on social media or your website? If so, you can total sell your own product using Youtube. You can write up a blog post and send your audience right to your Youtube channel to see a video of you promoting your latest book, course, printable and more. You can also tell your audience about your new products via social media and through email. From my experience videos of products do very well and can help sell your product on your channel. Did you know you can promote products that you love on Youtube and get paid for it. On Youtube, you can get paid for working with different companies through sponsorships. One of my favorite type of sponsorship is Product Sponsorship. Product sponsorship is where you can get free product (s) to review on your channel to your audience. After you share the product with your audience can get a percentage when your followers purchase the product. Most sponsorship companies review your following on your Youtube channel and how many views your youtube videos has when determining if you are a good fit to be a sponsor for their company. They will also see if you are consistent and if you interact with your followers on your Youtube page. They may also check out your different social media channels such as Instagram, Facebook, and Twitter to see if your content is a good fit for their brand. A great website to check out Sponsorship opportunities is the Youtube Sponsorship platform called Famebit. Famebit is a trusted platform with a ton of Youtube influencers on there ranging from small to big channels. Famebit charges 10% of the sponsored amount of what you earn and they pay via check or PayPal. So, if you are looking for new sponsorships check out the Famebit site to see the different sponsors and how much they are willing to pay their influencers. Another awesome way to reach out to sponsors is through email. You can research and find 20 to 50 companies that you think would be interested in the content that you share on your channel. For example, if you are a mommy blogger you might reach out to different baby products companies or breastfeeding companies to see if they are open to having sponsorships with their companies. The advertisement industry is a HUGE business and many Youtube influencers get paid for having ads on their channel videos. Youtube has a program called “Youtube Partner Program” where you can monetize your channel. In order to get accepted into the program, you need 1000 subscribers and 4,000 watch hours over the past 12 months. Your videos will also be monitored very closely to make sure the content isn’t inappropriate. Before this year any person could get into the program but Google which is now Youtube owners announced new standards to get into the program. Once you get accepted into the program you will get a percentage fee that the ad company pays Google (Youtube). Every time someone comes to your video and sees the advertisement or clicks on it you will earn money. A great example of this is the Youtube channel, Ryan’s Toy Review! Just recently this young child Youtube influencer earned a whoopin’ 22 million dollar from Youtube last year alone. YES! 22 million dollars and a large portion of that comes from having advertisements on his videos. With over 17 million followers Ryan is one of the most popular Youtube influencers out now. Ryan is a 7-year-old boy that reviews toys with his parents in short videos on Youtube. I have to say the branding of Ryan’s Toy Review is amazing because my 2-year old toddler absolutely loves his videos and watches them weekly. As stated above most all of Ryan’s income comes from pre-roll advertisements so that’s why having ads on Youtube is MEGA huge and can be a great reward in the long run. When views go up on a Youtube channel, so does the automated ad dollars. To have pre-roll ads on your Youtube you have to be accepted into the Youtube Partner Program. You can click here to see if you are eligible to apply! If you are eligible you will see Monetization is enabled on your channel. If not you will see Monetization not enabled. In order to get accepted into the program, you will need at least 1000 subscribers and have at least 4,000 watch hours over the past 12 months. After submitting your application to the program your profile is automatically reviewed to make sure it complies with the YouTube Partner Program terms and our Community Guidelines. After you apply, Youtube will contact you within’ a month with their decision. 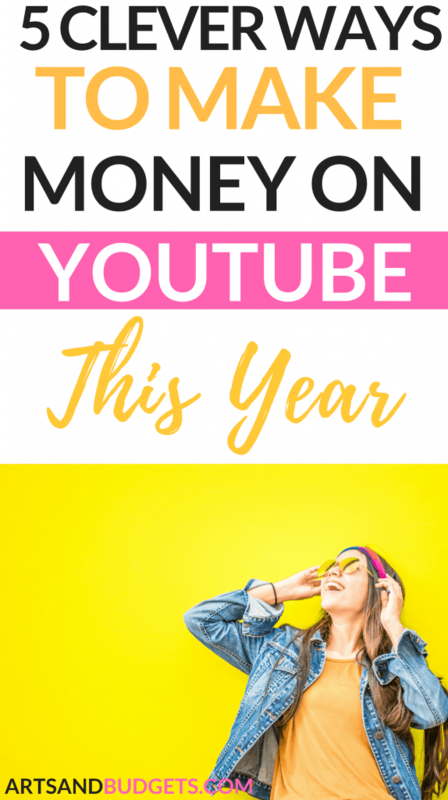 Affiliate Marketing is one of my favorite ways to earn money in the blogging world and it’s a great way to earn money on Youtube as well. With affiliate marketing, you can get paid to promote products that you love and share with others. When someone from your audience goes to your Youtube channel and watches a product review and purchases the product through your link you will earn money. To promote affiliate products on Youtube simply sign up for different affiliate programs that fit in with your brand and then makes videos promoting the products (Books, courses, clothes, technology, etc). If you are looking to find affiliate programs or seeking information on how to apply, I have a post that shares some of the top affiliate programs to apply for. You can check it out by clicking here! Some of my favorite affiliate programs are Sharesale, Bluehost, Shopify, and Igain! You can also get rewarded for promoting products through Amazon. On Amazon, they have an Amazon influencer program where they will pay influencers to promote different products on Youtube. You will get your own page on Amazon with a custom URL and get the chance to promote the channel to all your followers on Youtube. With the custom URL, you will be able to easily share your recommended products all in one shoppable spot. When customers shop on your custom Amazon page you earn money on qualifying purchases. Amazon currently looks at the followers and engagement on your social media presence to determine if you qualify for their program. They also look at the type of content that you create and the relevancy it has for Amazon customers. To apply, it’s really simple you simply go the Amazon Influencer site and connect your Youtube channel to the program to see if you qualify. My most unfulfilled dream of 2018 was starting a youtube channel. However, I have a purpose for starting out the same. But, I am finding difficult to create a video recording setup. My voice is not clear in spite of trying different ways like using microphone, small mic. Can you suggest any solution to this problem? Thanks for stopping by! 🙂 You are correct! Quality content will definitely meet the new standard! Looking forward to seeing your work. What’s your Youtube channel URL?